Memphis, Tennessee an alert homeowner called the police after finding cannonballs in his front yard. 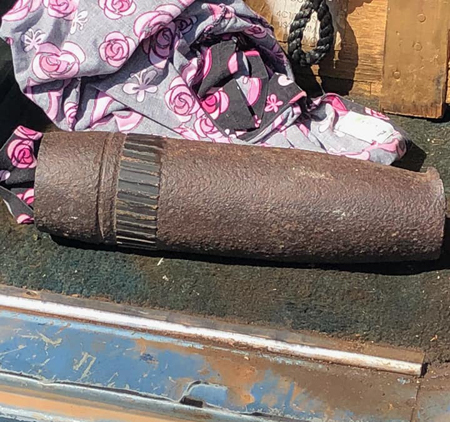 The police call the bomb squad who took several x-rays of the items and identified them as inert Civil War era cannonballs. Authorities are unclear how the cannonballs ended up on the property and are investigating it further. Tokyo, Japan A runway at the Narita International Airport was temporarily closed after construction workers uncovered a UXO near runway-A. Police and a bomb disposal team responded to safely remove the UXO  reported as a WWII era ordnance (specific type not reported). Washington, D.C. DoD announced it's planning to study, yet again, DoD's compliance at Active Sites Conducting Open Burning or Open Detonation of Excess Conventional Ammunition and Explosives. The objective of this upcoming study is to determine whether the DoD is in compliance with relevant environmental laws, inter-agency and municipal agreements, and DoD policy. The study will include sites within the U.S. and its Territories. 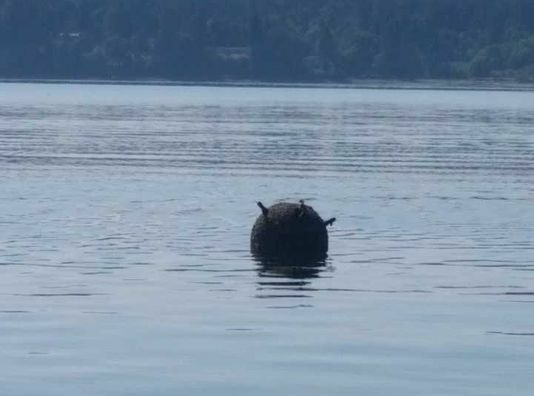 Brownsville, Washington A Washington State Department of Natural Resources employee motoring a shellfish bed off Bainbridge Island reported a strange object drifting in the water between Brownsville Marina and the west shore of Bainbridge Island. Concerned that it looked dangerous, the employee called the item into the Coast Guard to investigate. The Coast Guard responded along with the Navy and other multiple agencies. 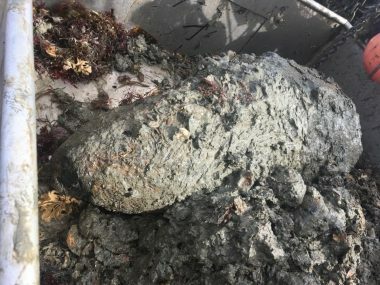 At first, the theory was that the marine encrusted item was a WWII era sea mine. As such, the responding Navy, Coast Guard , and law enforcement officials enforced a safety zone around the drifting item while they tried to determine if it potentially contained explosives. Solent, United kingdom Royal Navy Bomb Disposal was called to Motherbank (a shallow sandbar off the northeast coast of the Isle of Wight) after a trawler reported a UXO find. The experienced captain quickly realized that he had something potentially dangerous in his nets when he noticed a bomb. He ordered the crew to carefully lower the bomb in the water and proceeded to report the find to the Coast Guard.